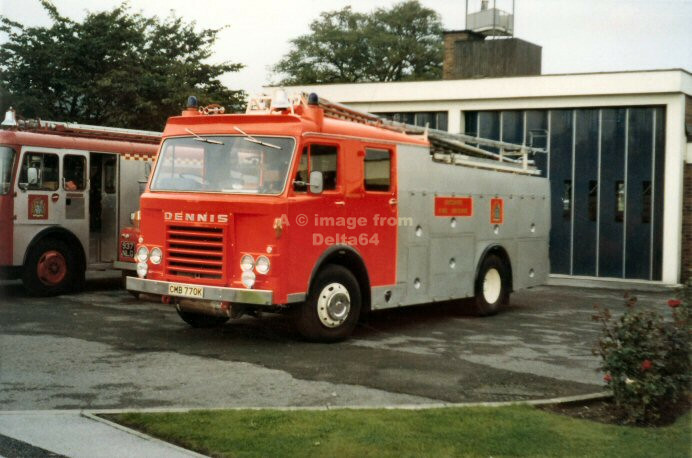 Dennis F38 FTU332B served here and subsequently at Frodsham. 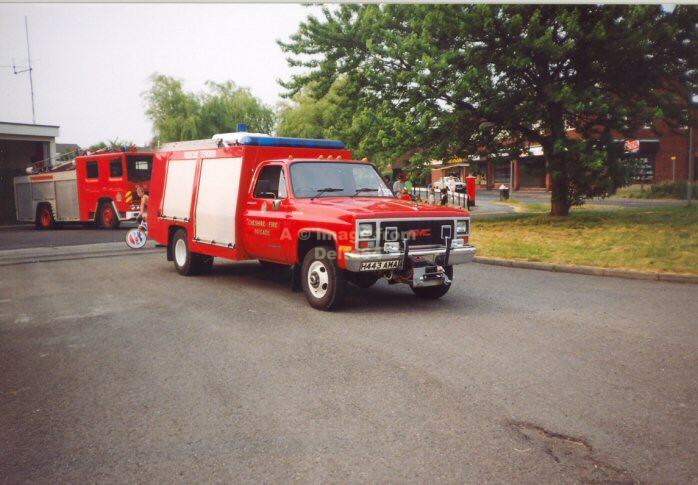 Bedford TK Emergency Tender ULG998E was seen at a farm fire in Poynton. 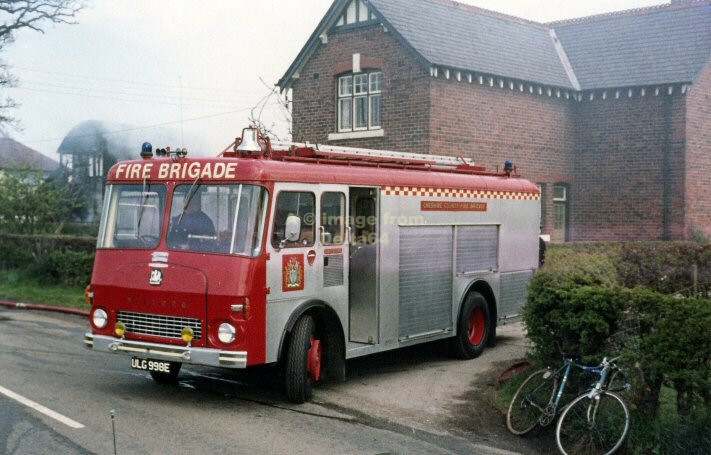 Dennis CMB770K seen at Knutsford in a flourescent livery. 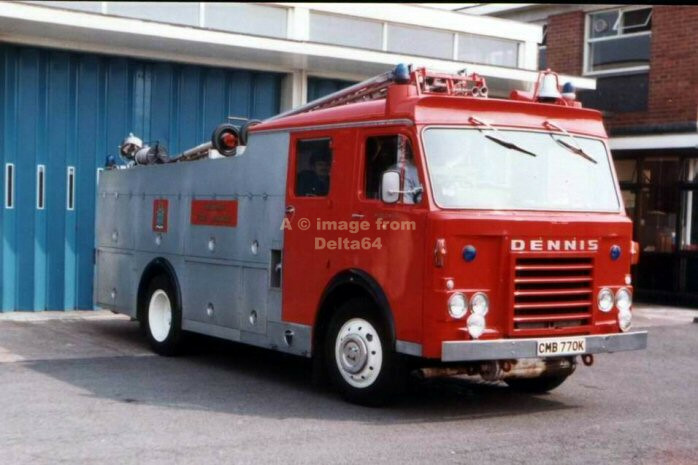 Dennis F48 CMB770K was a former Knutsford machine. 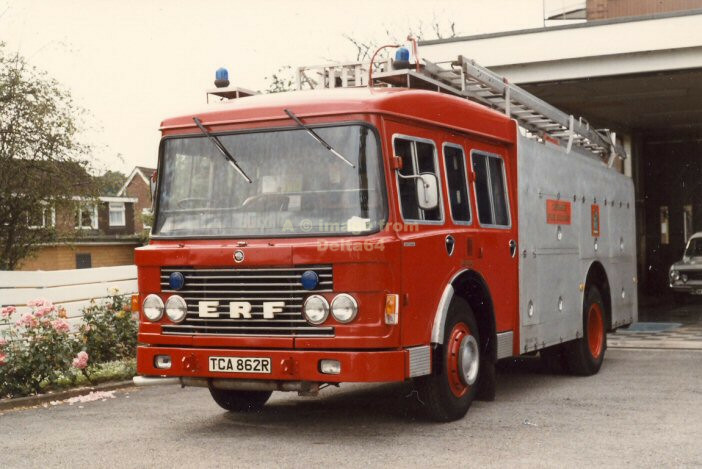 ERF TCA862R formerly at Runcorn, was seen at knutsford, 13 July 1986. 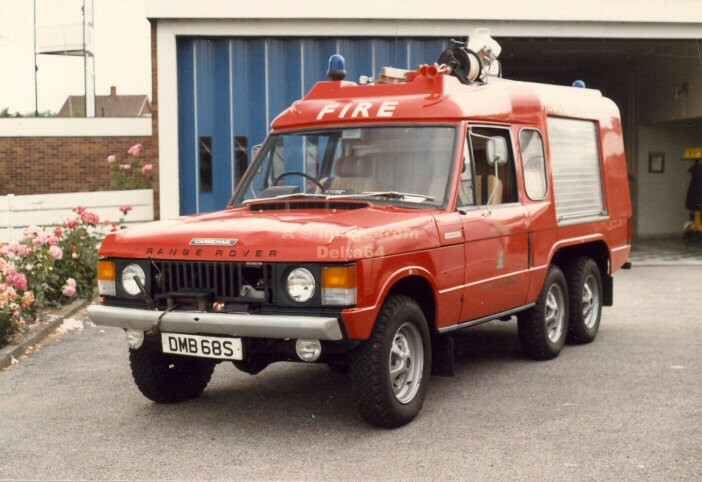 Range Rover Rescue Tender DMB68S was seen at the staton, 13 July 1986. Another view of DMB903X in the later livery. 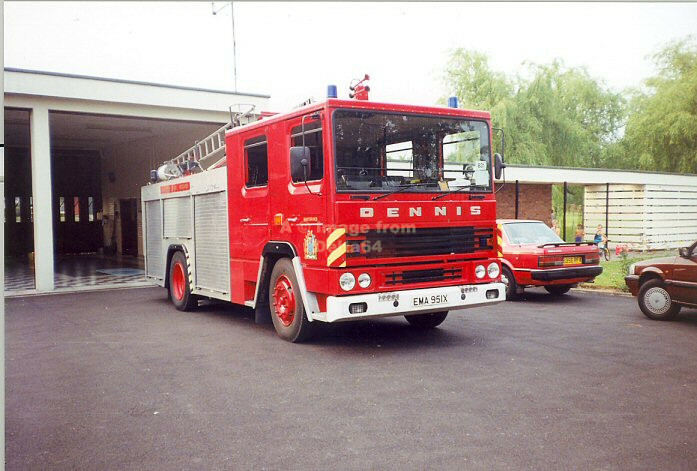 Dennis RS EMA951X was seen outside the station. 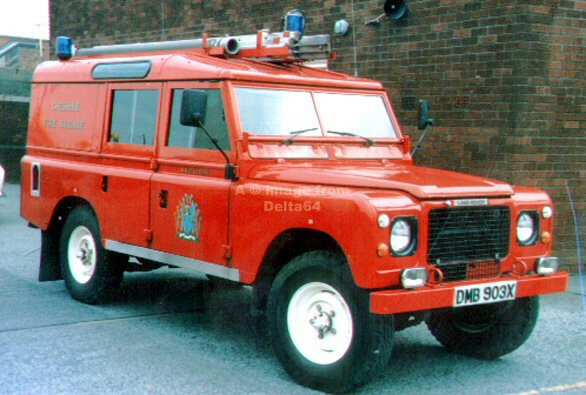 Like many 4x4 vehicles, H443AMA saw a variety of uses, but started off here as a Rescue Tender. 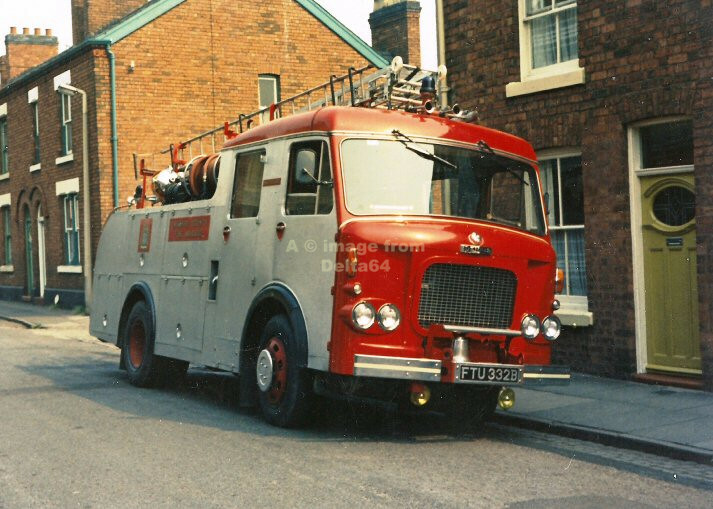 Although seen as second appliance at Northwich, K627KMB first entered service at Knutsford. 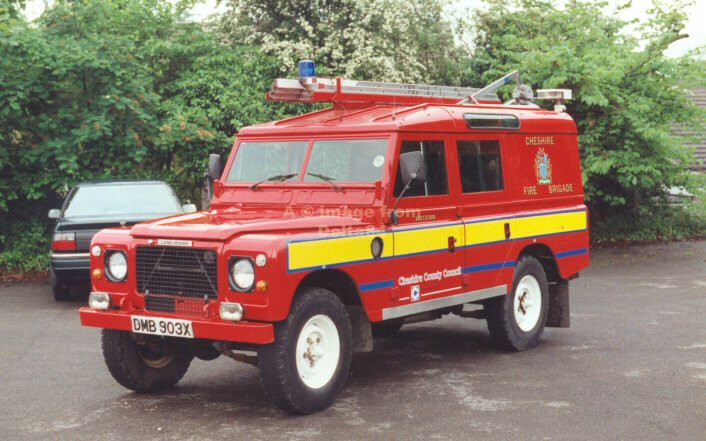 It was seen on relief duties at Nab Quarry, Pott Shrigley, 8 February 2003. Mercedes 1124F K627KMB was seen in Chorley prior to export, 20 March 2013. 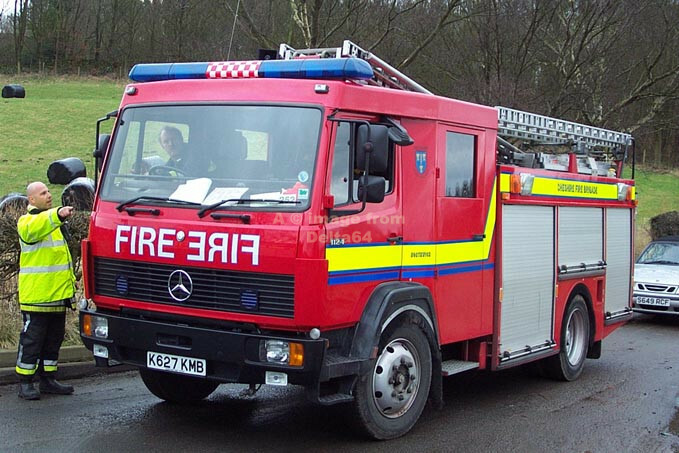 Dennis Sabre V895JMA was seen in front of Northwich fire station, 12 September 2009. 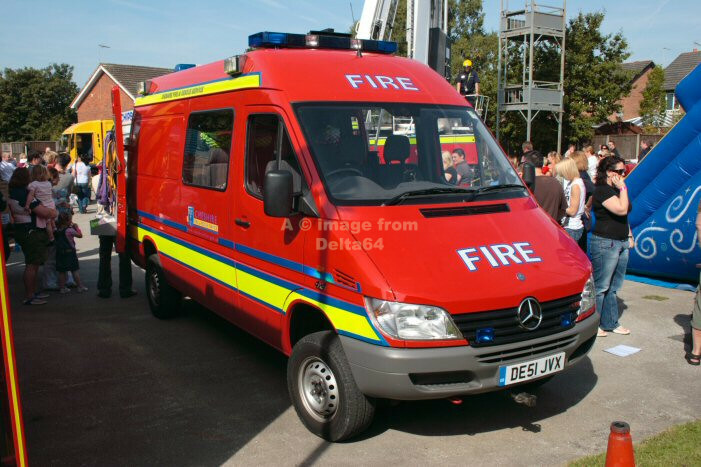 Mercedes Sprinter DE51JVX was the Line Rescue Unit, and was also seen at Northwich, 12 September 2009. Mercedes DK04MHX became the RRU. 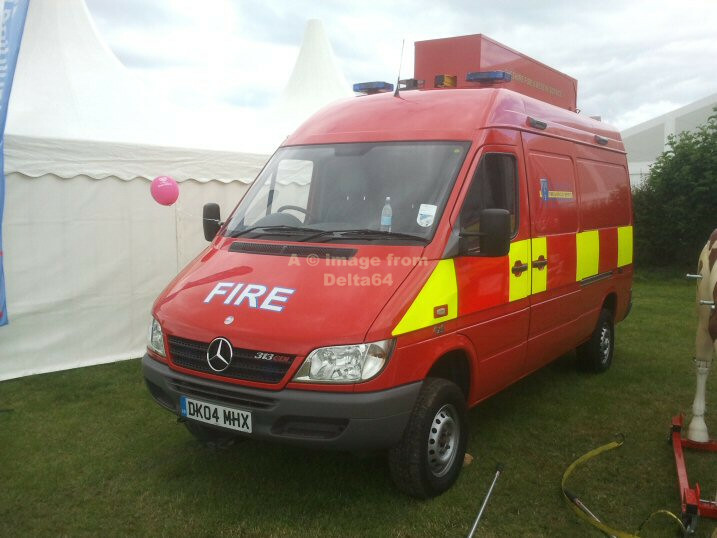 It was seen at the Cheshire Show, Tabley, 21 June 2011. 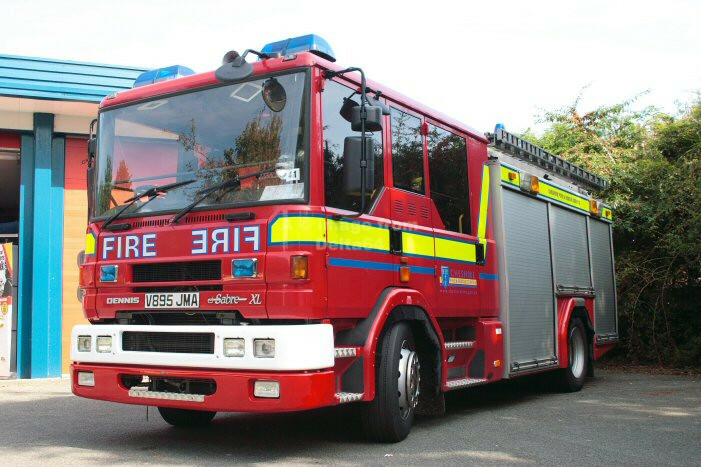 This apppliance transferred to the new Lymm Fire Station in 2017.